The ultimate kayak travel tour on a private island. Sea kayak, snorkel, scuba dive, kiteboard, windsurf, kayak surf, sport fishing, fish, paddleboard, surf. View our private island accommodations. Belize’s #1 adventure travel vacation offering just the right balance of challenge. Fifteen sports in eight days! An outdoor vacation for the very active traveler – jungle and island combo sport tour. How can we claim to be one of the top resorts in Belize? Our all-inclusive resort focuses on water sports, and we have more sports gear, with expert instruction, than any other Belize caye in the country. 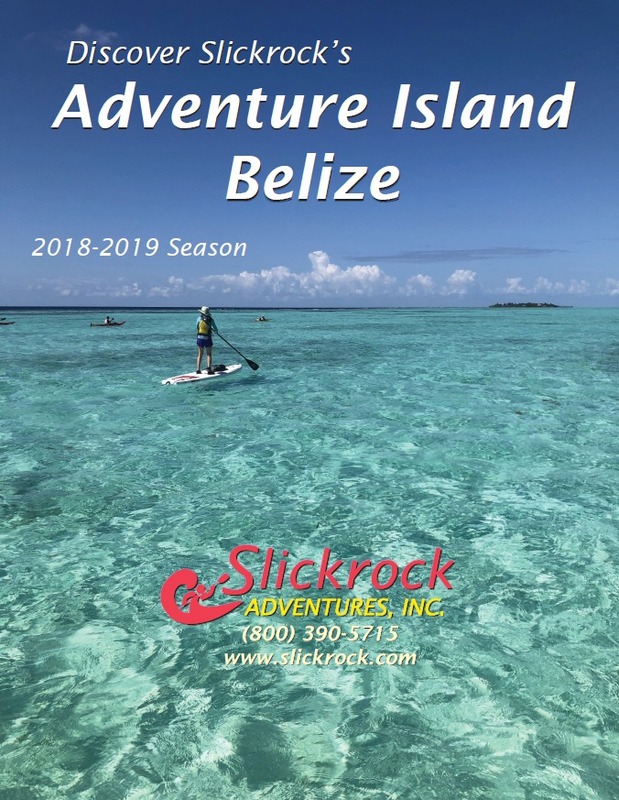 Travel to Belize to learn how to sea kayak, surf kayak, paddleboard, fish from a kayak, windsurf, kitesurf, board surf, scuba dive, and the snorkeling sites are accessible from one of the best beaches in Belize. 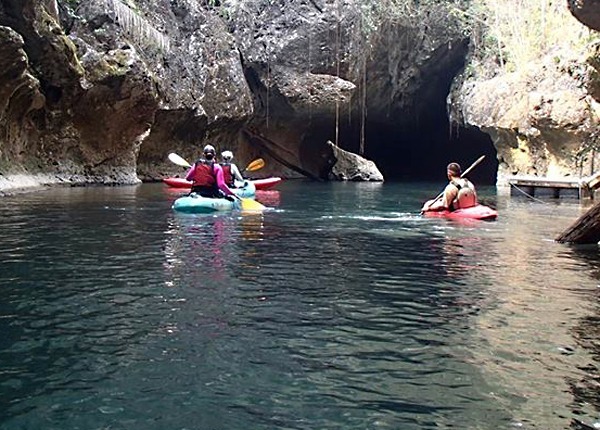 On our Belize inland tours we teach whitewater kayaking, underground kayaking, ziplining, and waterfall rappelling. Experience the best of the rainforest and island ecosystems in Belize. This will be your best vacation ever! What about accommodations? Each beach front room is located right on the Caribbean Sea. Our rooms are individual cabanas that sleep two to six guests. This is one of the best beach resorts in Belize. Join us for your next Belize vacation! Good News From Belize! Belize bans plastic! Order our Free Belize Map!! Check out Belize Adventure Week, where you experience 15 sports in 8 days! This is the most active of all Belize adventure tours ! 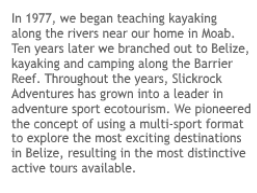 Check out our adventure sports equipment page, we have the best collection of sport gear in the country, by a long shot! Looking for singles travel tours? Our Belize Adventure Week trip is perfect for guests travelling solo. We have the best and most remote Belize kitesurfing center, located at our private island at Glover’s Reef. Our Belize Flights page is updated weekly providing current information on flights to Belize City. Snorkeling vacation packages are available right off our beach. Our dive center specializes in PADI dive courses. For all inclusive family vacations, our island keeps everybody happy. Belize fly fishing is excellent right off our shore, you just wade in! 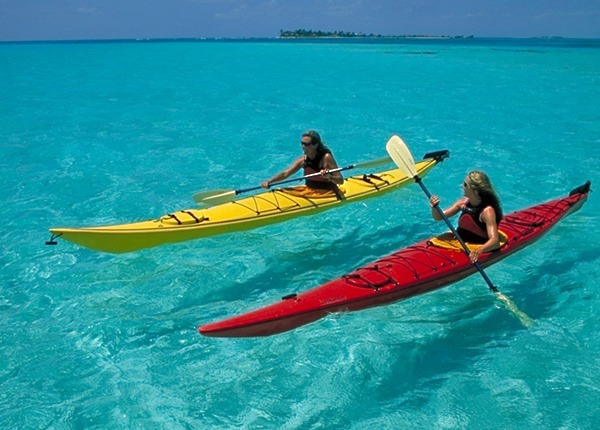 Belize kayak tours: sea kayaking, river kayaking, kayak surfing, and kayak fishing, all on one vacation!